Matchstick Monkey is a British brand of easy-grip baby teethers that are perfect for little hands. Ergonomically designed they feature fun textures that help soothe sore gums during baby's teething stages and is a really handy size to carry around when out and about. 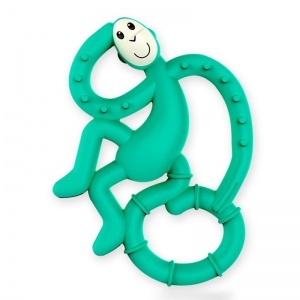 With bright colours and a fun monkey design, these teether toys are a real winner with all new mummies and daddies. Add one to your newborn baby gift today to give an unusual but really useful present.